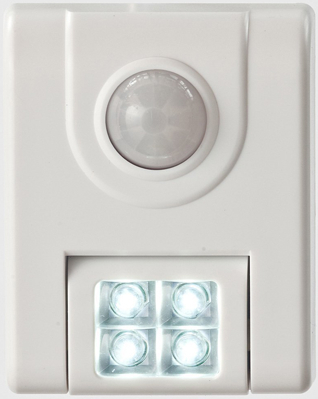 4 LED panel of lights swivels to aim light where it’s needed most. Perfect for dark stairs, hallways or closets. No hardwiring required; battery operated. Light is removable from mounting plate and can be used as an emergency flashlight. Detects motion up to 6 feet away. White.